As a renter, you have to properly take care of yourself in order to ensure that you will have a positive (and safe) experience. Unfortunately, a lot of the cons of renting have to do with dealing with the landlord. Your rental relationship will go more smoothly if you follow the tips below to protect yourself. Renting a new apartment, asking for repairs, or taking to your landlord for any other reason can be quite stressful. Every situation can be simplified if you are prepared. Whether you are applying for a new apartment, requesting repairs, or discussing terms of your rent, make sure that you have all necessary documentation for the meeting, and arrive knowing what is in your contract, what is required by law, and different solutions to the problem at hand. 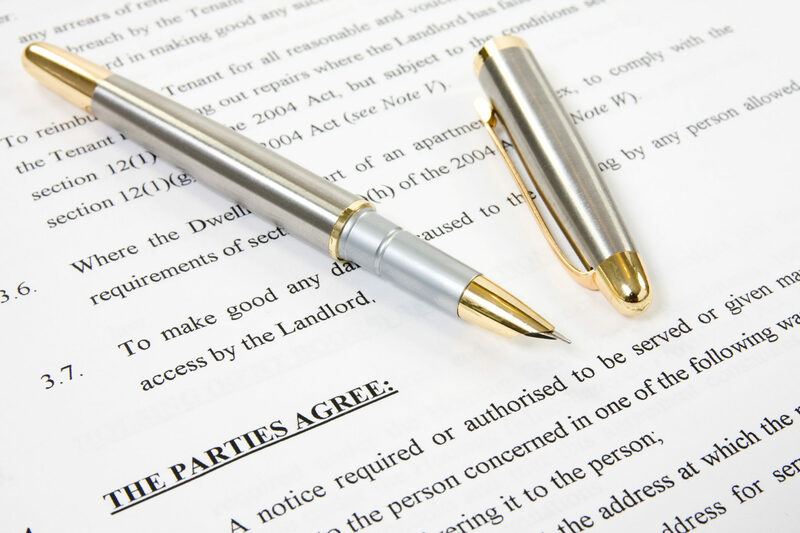 Before renting be sure to thoroughly go over the property management terms and conditions contained in your lease. You need to be aware of your responsibilities as a tenant in Utah, and also of what the property management’s responsibilities are as well. You also need to be aware of policies regarding pets, guests, parking, etc. This will help you to avoid contention with the property management company and with neighboring tenants in the future. Many landlords will use a fairly standard lease template. However, before you sign, you need to be sure that the details of the lease are all stated clearly and are appropriate for your specific situation. Here’s a guide to some of the most important parts of the lease, so that you can go in with a good understanding of what to expect. The human memory is fallible. Even if the owner of the property or the property manager are honest people, they may forget things and misunderstand what was discussed in person. If there are any changes to the lease that you’re requesting, any repairs that need to be made, or any alterations in agreements over deposits etc, get the changes in writing. You can avoid disputes and misunderstandings by getting everything in writing and making copies for your own records. One of the perks of being a renter is that the landlord is responsible for making repairs to your home, not you. You can help them to keep up with this responsibility by requesting that repairs be made as soon as a problem crops up. Ignoring minor problems can lead to bigger problems and further damage, so request repairs promptly. Your landlord is required to provide you with a liveable environment and there are legal consequences for them if they don’t complete repairs promptly. Most problems with your property manager can be solved with a little communication. If you’ve requested a repair, and it hasn’t been done yet, give them a call and ask them what the problem is. If you’ve had a financial emergency and your rent is going to be late, call the property management company and let them know when you will have the money in. Keeping the lines of communication open will avoid contention and will help problems to be solved more quickly. Just because you’re a tenant doesn’t mean you aren’t entitled to a comfortable, safe home. If you feel that the property management company or landlord is in the wrong on an issue, and they aren’t rectifying the problem, there are legal steps to take to assert your rights. Losing your temper, withholding rent, or damaging the property will only lead to negative consequences for yourself. Look up your Utah tenants rights, and follow the procedures outlined there to come to a resolution. Just because you’re not a homeowner doesn’t mean that you don’t have a significant investment in your home and property. You need to protect yourself from risk and losses by taking some necessary precautions. Read your contracts, purchase renter’s insurance, take care of your security deposit, and get everything in writing. Having a responsible party in charge of managing your rental property in Utah can make or break your experience as a tenant. Choosing a property that is managed by a professional management company can mitigate some of your risks and make things go more smoothly.